Now I could write a thousand blog posts on the scrappy projects I’ve been working on recently!! But I’ll show you just a few samples instead (I can hear you sigh with relief from here!). I had some tiny leftovers from a layer cake quilt, which I made into this QAYG zippy pouch. And more tiny leftovers made the prettiest bunting on these linen pencil cases. A sizzix cutting machine is great for turning odd sized scraps into useable shapes, which is how I made the circles on these (repurposed trousers) pouches. And finally, our Bee Blessed block of the month is a tribute to all things scrappy! So that’s my (conservative!) 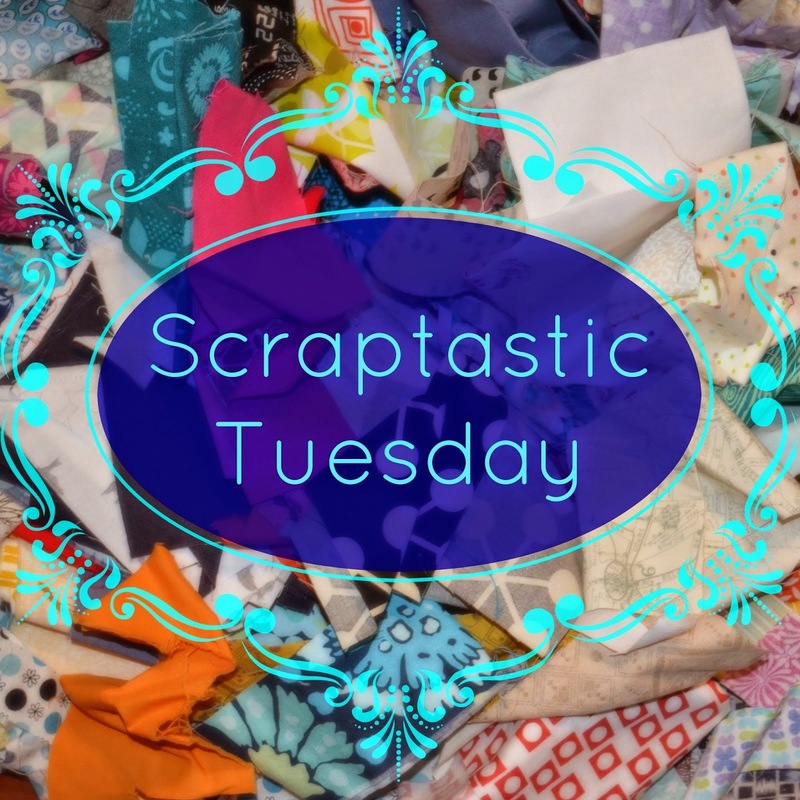 link up to Scraptastic Tuesday! If scraps are your ‘thing’ too, then hop on over to Nicky’s or Leanne’s and check out the other inspiring projects!